Whether you’re shipping to friends, customers or colleagues, you need to be sure that your parcel will arrive in good condition and on time. That’s why you need us, the parcel delivery experts. We handle shipping for packages of all sizes, so you can be sure your large or heavy parcel will get the specialist handling it requires. We pride ourselves on delivering top-quality service from end to end, with full tracking and parcel protection available to all our customers. Our company’s record of satisfied customers speaks for itself. We guarantee that we’ll get your large or heavy parcel where it needs to go, when it needs to be there; we’re rated “Excellent” on Trust Pilot, so you know we’ll live up to our word. How to send large or heavy items with ParcelBroker? Firstly, enter your details into our online form and click “Compare Prices”. This will submit the parcel information to our courier database to see which services are available. From the range of options you’ll be shown, select the one that best suits your needs. We supply information such as whether a printer is required, estimated delivery times and the cost of each service. Select “Book Now” to proceed. At this stage we’ll need you to provide exact addresses and contact information. Pick-up and delivery can be from a business or residential address, providing you with plenty of flexibility. You may need to assist the driver in loading your parcel. You’ll also have the chance to increase the level of protection on your parcel; simply enter the value of your package and you’ll be shown the available level of coverage as well as its cost. We’ll ask you to confirm that your parcel doesn’t contain any items from our prohibited contents list, and that you’ve checked our packaging guidelines. If you don’t already have a ParcelBroker account, we’ll need you to create one. This takes less than a minute and helps us provide a high level of service to every customer, as well as allowing you to collect ParcelPoints on every service. Once you’re logged in you’ll be able to complete payment. Your parcel will be scheduled for collection and you’ll be sent a receipt. What are the largest sizes and weights available? Our online booking form is designed to accept the vast majority of parcels. However, particularly outsized packages may need to be specially handled - if any one dimension exceeds 2.5m (2.74m for international deliveries), then you’ll need to contact our team for a quote. Any packages weighing more than 50kg will need to be sent via our pallet delivery services. 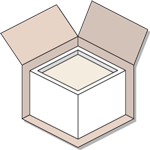 ParcelBroker Pro members can send packages with a single-side dimension of up to 3.6m within the UK. To become a ParcelBroker Pro member simply submit a few details to us. How to prepare a heavy or large parcel for shipping? We work with experienced, accountable couriers who handle large parcels all day long. 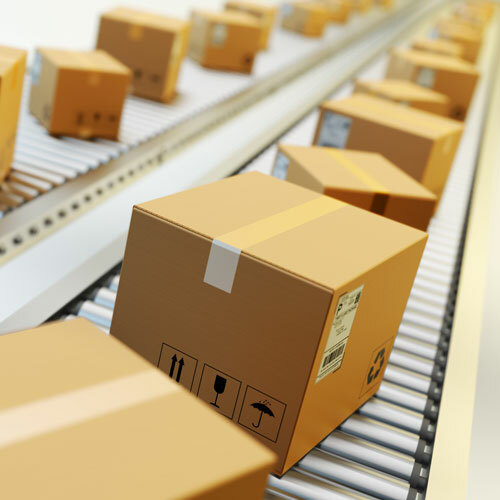 However, shipping subjects your items to potentially damaging forces, and it’s essential to ensure your parcel is correctly packaged before shipping. 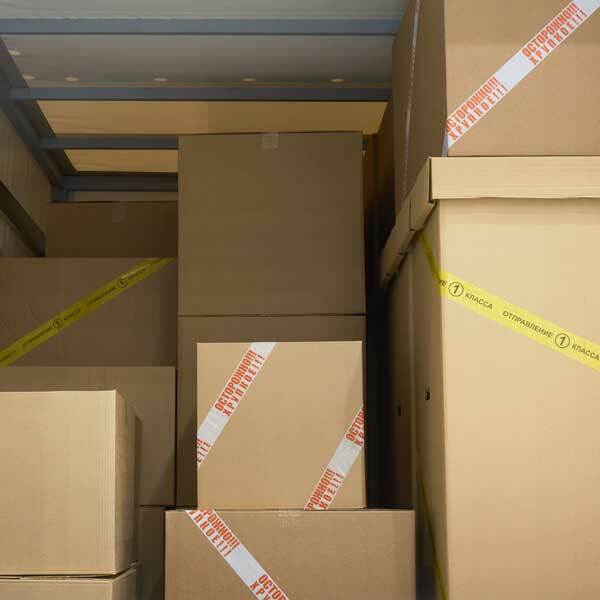 Make sure you’re using a heavy-duty double-layered corrugated cardboard box for any heavy items. 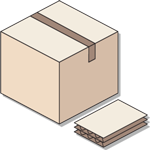 Your items should fit snugly within the box without room to move about. We recommend using shaped foam and polystyrene to package heavy items, as softer materials can easily compress under weight. Polyester or polypropylene strapping will contribute significantly to the strength of your heavy parcel. You may be sent your delivery labels in advance if you aren’t using a printerless service. These should be attached securely within a transparent document wallet using parcel tape. 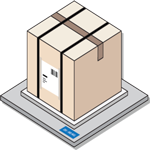 Make sure you weigh and measure your parcel after it has been packaged - otherwise, it may incur additional surcharges. 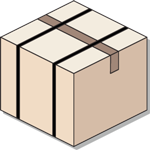 If your parcel is not properly packaged for delivery, you may not be covered for any damage caused. 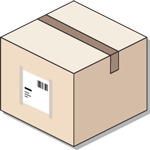 For an extensive guide to preparing your heavy or large parcel for delivery, read our packaging guidelines. Can I send a large or heavy parcel abroad? We’ve been sending parcels overseas for years, and our in-depth industry experience lets us provide a seamless, easy-to-use service. We’ll ensure that all shipping surcharges are clearly marked, so you won’t find yourself stung with additional fees to get your package where it needs to go. Booking an international large parcel delivery is as simple and straightforward as sending your parcel to a UK address. Simply enter in your parcel information in the form above, and you’ll be shown the best rates for your delivery. Can you order next day or same day delivery? Our couriers can provide a guaranteed next-day delivery service. If you need the package to be collected today, payment will usually have to be completed before 10am. Same-day delivery services are available on packages of all sizes and weights. To book a delivery for the same day, please click here.